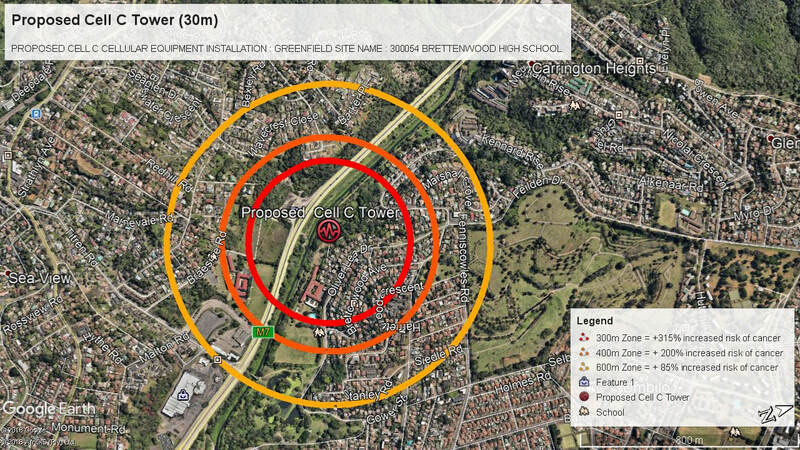 Petition - Brettonwood High School - Cellular Tower - ACR National Crime Initiative SA (PTY)Ltd. This notice serves as last notification to all members residing / working / schooling / studying in and around a 600m zone of Brettonwood High School in Umbilo. 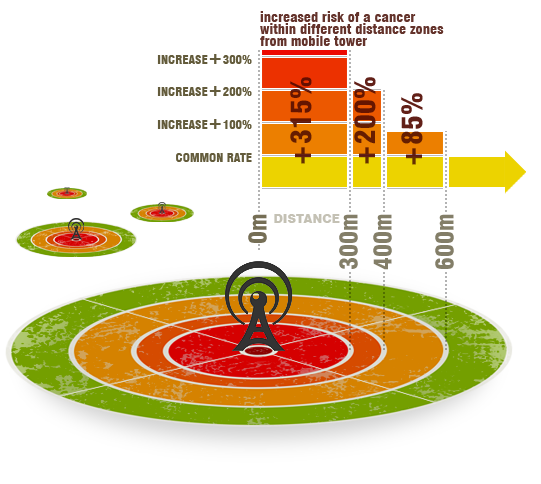 It has come to our attention that only 3 immediate neighboring houses adjoining Brettonwood High School received official notification of intent to erect a 30m Cell C Cellular Mast. Cellular Radiation has over the years become very heated and debated topics, however most recent studies and reports are showing more and more dangers and harmful effects of the emitted radiation. 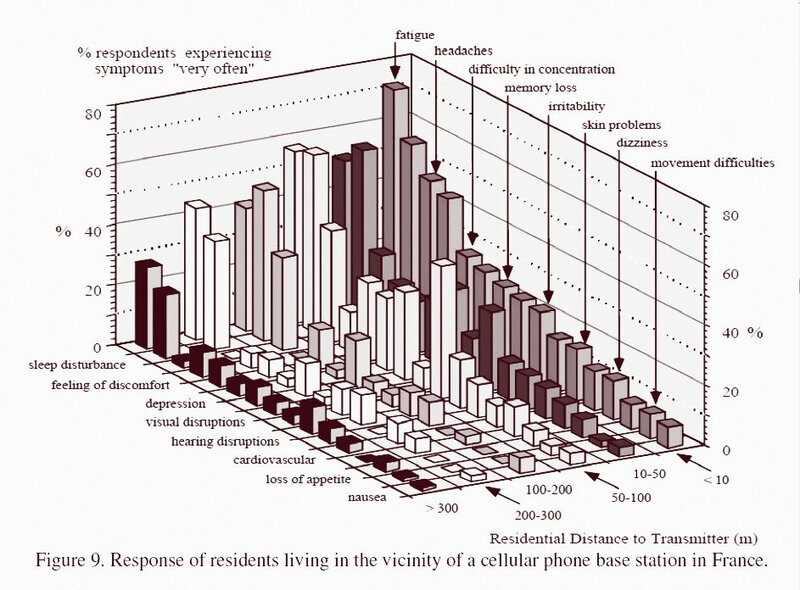 The effects of cellular radiation / emf exposure or not only limited to increasing the risk of cancer, but other disorders. A Google Satellite image map attached for ease of reference, using satellite imagery, and measuring / mapping distances as per Google Satellite and Google Earth Pro tools, should suffice to be as accurate as possible without the call upon architects, engineers or land surveyors on a last-minute basis. The affected area is home to many residents, from students to pensioners, mostly in the lower income bracket and or unemployed and unable to afford medical aid or private health care. The affected area directly impacts on 2 high schools with a combined student count of over 2000 students most of which come from out of the area. The immediate area is also part of the DMOSS protected areas and active enforcement taking place with Parks Rangers. We do not believe the Brettonwood High School Management and or Governing Body has done any research on the negative impact that this would have not only on the environment and community members... but what about the scholars that are the future of our country? Why must innocent persons suffer at the hands of the greedy school for receiving compensation in form of payment at the cost of the community, environment and scholars studying at the schools? increased insurance premiums will follow suit, as well as depreciation of your property values. We urge every member to please share this post, and provide written comment here-under been against the erection of the 30m Cellular Mast. We ask for the Department of Education to intervene with immediate effect, as we do not believe that its in the interests of the Department of Education to allow any scholars to be harmed in anyway whatsoever. We ask the Department to hold full inquiry as to why the School has approved such planning to take place and why the immediate community was not notified, not even the members residing directly across from the school! We request for members who have or know families that have kids at Brettonwood High School or Rossburgh High School to please forward the information accordingly. as we need to print and hand directly to 2 offices in order for the submission rejections to be recognized.